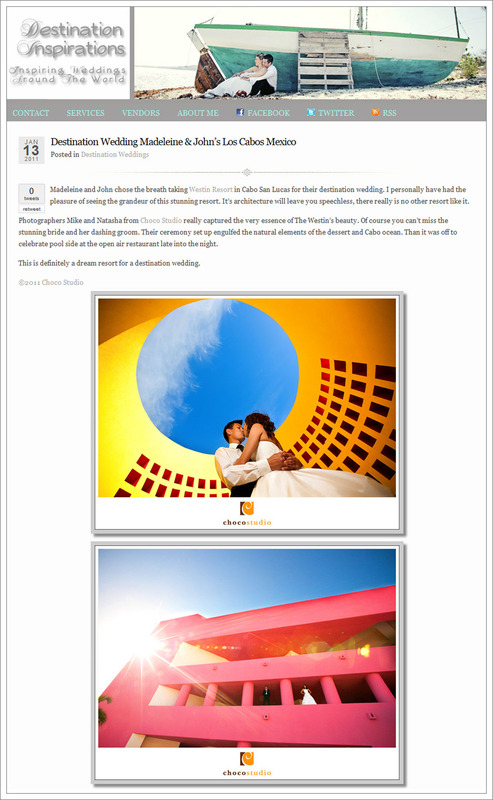 Los Cabos wedding is featured on the Destination Inspirations blog! We are thrilled that Madeleine and John’s gorgeous Los Cabos wedding is featured once again and this time on the Destination Inspirations blog! And it’s just in time for their upcoming one year anniversary on January 16th :) It’s so nice to see their warm photos taken at a beach-side hotel on a cloudy and gloomy day like today. You can view the feature by going to the Destination Inspirations blog.